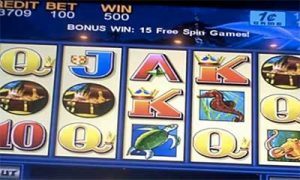 A former gambling addict is fighting Australian casino, Crown Resorts, and pokies manufacturer, Aristocrat Leisure, in court this week over a single poker machine. 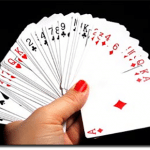 Shonica Guy claims that the Dolphin Treasure poker machine inside Crown Melbourne casino, where blackjack and other casino games are available, is designed to mislead players. 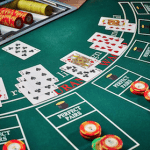 The landmark lawsuit commenced on Tuesday in Federal court, following allegations that the machines cause addiction gambling made 18 months ago. Land-based poker machines have a minimum Return to Player of 87 percent which means for every $1 wagered, the player will get back $0.87 over time, but not instantly. Dolphin Treasure in Victoria has a RTP of 87.8 per cent. Ms Guy’s lawyers told the court that this gives the impression the player will lose 12.2 percent of the money put through the machines, and retain 87.8 percent. However, the RTP rate is calculated over the lifetime of a machine, instead of a single session. Ms Guy, who started playing the pokies when she was 17, is alleging that Crown failed to accurately disclose the odds, while Aristocrat designed the machine to disguise losses. She believes that the uneven distribution of symbols over the five reels, as well as the fact that the fifth reel has more symbols than the other four, is not made clear to punters. As a result, Ms Guy wants the machine banned from the casino. “This case is not about seeking compensation for what I lost — I just want to make sure what happened to me doesn’t happen to anyone else,” Ms Guy said. “What I want this case to show is that the industry knows their machines are addictive and design these machines to get us hooked. But Crown isn’t backing down, claiming it is “basic common sense” that symbols are unevenly spread across the reels to affect the chances of winning. Neil Young QC for Crown said that the poker machine software has been reviewed by the Victorian Commission For Gambling and Liquor Regulation and features the required information. He told the court that by pressing the “i” button on the casino’s Dolphin Treasure machines, players could view the odds and payouts, as well as the various combination of symbols. Justice Debbie Mortimer interrupted to point out that there was a “level of complexity” to the information on these machines. Still, the machines adhere to Australian land-based casino standards, according to CEO of Gaming Technologies Association, Ross Ferrar. “These standards include requirements that gaming machines not give a player a false expectation of odds, they must accurately display the result of a game outcome and not be misleading, illusory or deceptive,” he said. The trial is ongoing with a ruling handed down in three weeks.